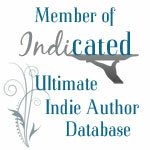 I know a lot of you authors out there are always on the lookout for ways to market your books. At least, I hope you’re always on the lookout. One of the best ways to market your book is to get honest reviews from your readers. The more reviews you get, the better your chances with your book. There are a lot of ways to get these reviews: beg, borrow, hold a sign on street corners, etc. Enter Storycartel. Storycartel is an online service in which you pay money for them to list your book for free. They list it for about a month, give or take, and their members will download your book to read for free. In exchange for this free download, they will review your book at Amazon. I thought what the heck. I have two clients who could use the reviews, so I paid good money for the service and waited. A couple of dozen people downloaded the books. Not a single review has been placed. Not one. Curious, I decided to research up other people’s Storycartel experiences. I found one, only one, in which the author said they *guessed* it was worth the money they were paid because they got one single review. In my opinion, for the amount of money Storycartel takes from your wallet, that’s not really a success. Still, I had some points left with them – enough for two more books. I thought I would try one more time. This time I listed my old book. Black Wolf Silver Fox, just to see what would happen. No one is downloading it. No one is interested. So on this end, if you’re looking for something to help you boost your book I can’t recommend Storycartel. It should be noted that if you don’t get any reviews, they say to tell them and they’ll refund you. I’ve told them twice in two surveys – which probably doesn’t count – and am thinking I won’t be spending any more money on them. There has to be other ways to get people to review your book in exchange for the free gift. Or to at least consider it. This entry was posted in Articles of Interest, Uncategorized and tagged marketing, review, reviewing books, storycartel. Bookmark the permalink.